Website cartoons offered on my site include a daily updating cartoon panel. After some time, I was able to offer my daily auto updating web cartoon as a WordPress plugin which was designed by Michael Busch who has experience in other plugin designs. Following some fine tuning and tweaking, the plugin was launched and offered to the WordPress users worldwide. To date, about 2000 downloads later, the plugin is still available. Just visit Cartoons For WordPress Users. WordPress bloggers who enjoy cartoons and cartooning in general, now have the unique opportunity of adding a daily web cartoon to their blog. 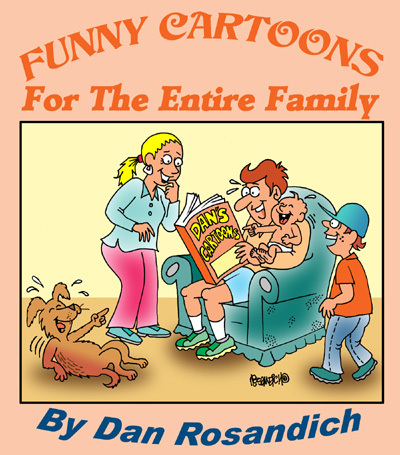 Cartoonist Dan Rosandich offers a plug in now being offered that features his daily web cartoon. The cartoon updates at 2AM New York City time, 24/7/365 and all of the images Dan offers are guaranteed as 100% family-friendly. Nothing vulgar. The image is actually controlled by a PHP script which in itself, is unique because of the fact that once the cartoon is added to any WordPress blog, it’s virtually on auto pilot. A sort of “set it, and forget it” type of feature. This new cartoon plug in has various components that were configured into the initial creation of the tool, which allows the blogger to control the size of the image allowing for better display features for the comic. Additionally, the settings for the border can be configured to a preferred thickness, making it ideal from an aesthetic look. From a design standpoint, it’s well known that borders can set a specific item apart from other content on a web page. So if you’d like to make the cartoon small, but more prominent on your page, you’d add it above the fold but have a border around the daily internet feature like the cartoon, and basic text around the rest of the space on that specific part of the page. By offering cartoon humor to your visitors, you also offer a diversion from the basic articles or standpoints you make throughout your blog and these family cartoons blend in easily into any WordPress platform. Additionally, content which updates from day to day lends more intrinsic value to your format in that visitors will want to see the next day’s cartoon humor, along with your newest articles, stories and other content. Diversity will make for a more interesting layout, not to mention keeping your visitors coming back each day . . . in essence, your blog will be bookmarked in their “favorites” or saved as a desktop icon. This feature also allows your visitors (who may be WordPress aficionados themselves) access to using this same cartoon on their site and offers further access into other cartoon archives features offered by the cartoonist, such as education cartoons, business cartoons, family cartoons, political cartoons and many other catalogs of cartoon humor that might be of interest to “marketing oriented bloggers” or those who want to add other unique content to the blogs they own. 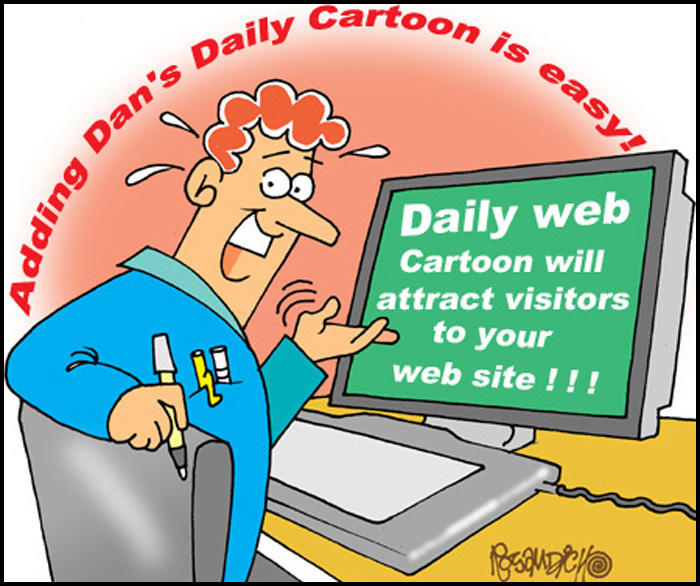 More background information on the daily web cartoon for web designers!